(September 13, 2018, Colombo, Sri Lanka Guardian) In a rare press conference held in Kandy, yesterday, by one of the anti-graft social activists Namal Kumara, director operation of a social movement called, Anti-Corruption Force ( Dushana Virodhi Balakaaya) has disclosed an ugly part of the ongoing internal rift within the Department of Police in Sri Lanka, one of the largest state entities in the island. According to the alleged audio records of the telephone conversations played during the press briefing, the activist was ordered by a senior police officer who is heading the Terrorism Investigation Division (TID), to tarnish the reputation of certain highly regarded officers in the department. “What you have to propagate is that it was not the senior DIG Kandy but the director of the State Intelligence Service (SIS) is the one who instigated the mayhem in Digana, Kandy, [where the tension between Sinhalese and Muslims were taken place by the following assassination of a Sinhalese unarmed driver by a group of Muslim youth],” Director of the TID ordered. DIG Nalaka de Silva: Can’t you instigate Buddhist monks against him? Namal Kumara: You meant, against SIS Boss? Namal Kumara: No problem at all; what I need is accurate information. DIG Nalaka de Silva: I shall pass the information to tarnish his reputation. Especially, the case of Amith Weerasinghe, [who is heading the Mahasohon Balakaya, main responsible party for the ethnic tension in Digana]. What you have to propagate is that it was not the DIG Kandy but DIG SIS is the one who played the pivotal role in motivating him against Muslims. Namal Kumara: Does Prime Minister trust him? DIG Nalaka de Silva: He must be removed from the STF then all power accumulated by him will be demolished. He has power as long as he is with the STF. I must sit on his chair, so then I can exercise all my duties without hesitation. There is another man called Nandana Munasinghe. Namal Kumara: Yes, DIG Nandana Munasinghe, he was DIG Colombo; but now, I guess, he is in the East. DIG Nalaka de Silva: Yes, he is the main troublemaker. He is the one who helped Buddhist monks to get bail. DIG Nalaka de Silva: It is known that the President and Prime Minister are having a sort of internal crisis. Namal Kumara: Yes, That’s true. “ DIG Nalaka De Silva was introduced to me by the incumbent Inspector General of Police, Pujith Jayasundara, introducing him as a good man. Therefore, I don’t think I can trust Police in this instance,” he further claimed. It is clear; this exposure indicates the ongoing serious internal crisis within the Department of Police. The investigation “follows a written complaint by DIGs Ranmal Kodithuwakku and Priyantha Weerasuriya and ASPs Nihal Thalduwa and Prasanna Alwis to the commission that there were questions with regard to the TID director’s educational qualifications and his height,” reports added. 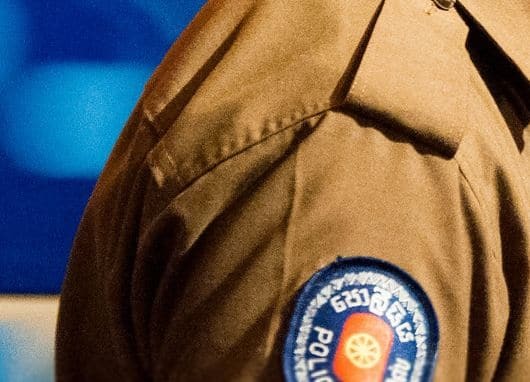 Meanwhile, reliable sources in the Department of Police told the Sri Lanka Guardian, that immediate investigation against these type of pathetic and destructive practices of the certain officers must be conducted and those found to be guilty must be prosecuted to the maximum.